last few weeks of summer available ! May 11th to the 25th and June 8th for the week . Slade Barn nestles in a curve of hillside at the head of a valley connecting Slade hamlet and beach. 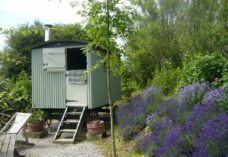 We are in a secluded area of South Gower and surrounded by farmland, footpaths and twisting lanes. 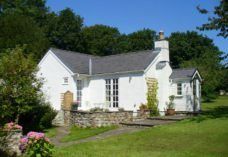 Only a stone’s throw from the beach and located between the villages of Oxwich, Penrice, Horton and Port Eynon, it is an ideal base from which to explore the Gower Peninsula’s many attractions. There are three extremely comfortable en-suite bedrooms (two double and one first floor twin), one of the double rooms is designed to accommodate the less able. We use only top quality white cotton bedding. Large built in wardrobes and bed side tables/ chest of drawers plenty of storage in each bedroom. There is separate cupboard available for outdoor coats and boots. There is a large open plan sitting dining room with high vaulted ceiling flooded with light from large Velux window. Stone floors throughout and Gower oak beams and shutters provide a local feel to a historic barn offering a natural feel to an otherwise contemporary conversion. This is a fantastic cottage for all the family in a stunning coastal location. Fabulous stay. Everything perfect from the weather to the accommodation. Lovely barn. Stylish and well equipped. Beautiful barn. Very well equipped. Fabulous location. Had a wonderful week relaxing. We will be returning. Fabulous place to stay. Great access to beach walks. Very comfortable and clean. A very happy experience. A wonderful week. Everything from the food and flowers on arrival to the Christmas decorations and the books, have been tasteful, imaginative and helpful. Lovely converted building. Comfortable, practical and well thought through. Thank you Martin and congratulations on what you have achieved here. Such a brilliant few days here at Slade Barn. The cottage is really wonderful, well equipped, warm, beautifully decorated and so many thoughtful touches. We had lunch at the Beach House which was superb and we had many amazing walks. Thank you. Congratulations Martin and Jamie on producing such a fantastic holiday home. You should both be very proud! Thank you too for all the thoughtful little extras. So kind and so welcoming. We’ll definitely be spreading the word about Slade Barn. A fantastic holiday in a fantastic location. Thank you. Our most luxurious stay on Gower ever! A really beautiful barn conversion, stunning! Many thanks. Have special requirements? Call Martin Rhys Howell on 01792 391551.